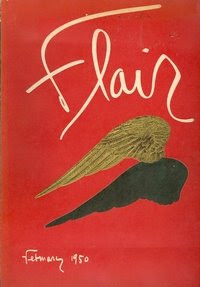 Fleur Cowles, creator of the exquisite Flair magazine in the early 50's, died June 8, 2009. Flair magazine existed for only 13 issues and was the most expensive magazine ever produced, at the time. Flair Magazine was the passion of Fleur Cowles, wife of Gardner Cowles Jr, an heir to the Cowles Media Company, Cowles Media published also published Look Magazine. The design elements of Flair Magazine to this day are innovative and extraordinary and vintage back issues of the magazine and the book FLAIR Annual 1953 are very collectible. The various design elements that make the book Flair Annual 1953 so interesting to study are the same design elements that were used for each of the Flair magazines. Cowles herself said: "I want Flair magazine to be considered my obit. And that's what I want to be remembered by forever. Nevermind any other thing I may have done. It's Flair that really reflects me." 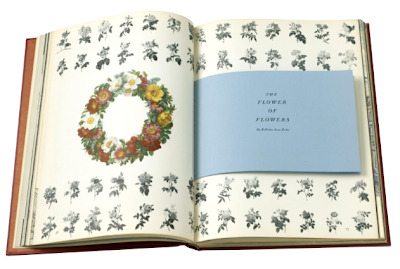 In addition to Flair, Cowles was the author of several books, including her memoirs She Made Friends and Kept Them. She was an artist who also published several books featuring her artwork. Married four times (way to go girl! 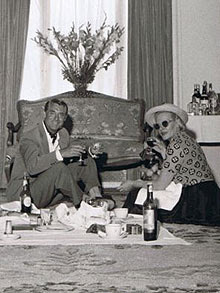 ), she was given away by her good friend Cary Grant at all four weddings. She was said to be bff with Britain's The Queen Mother (I didn't think "Cookie" was capable of friendship). The first issue of Flair was February 1952 and featured the Duchess of Windsor. 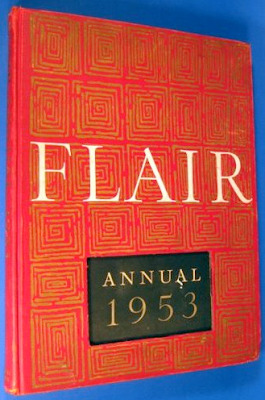 In addition to the 13 issues Cowles published a book format titled Flair Annual 1953. To order copies of Cowles' books and Flair Magazine, visit my online bookstore, www.jmvintage.com. I'll have one of those--YUM! !